UPCOMING EVENTS: Shonda Schilling to speak in West Palm Beach, FL on 11/17 and Worcester, MA on 11/19. 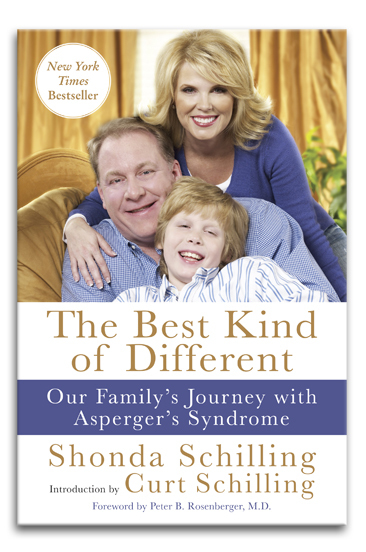 In THE BEST KIND OF DIFFERENT (William Morrow, an imprint of HarperCollins Publishers; on-sale March 23, 2010), Shonda Schilling, wife of retired Boston Red Sox All-Star pitcher Curt Schilling, shares the painful and joyous story of her son Grant’s struggle with Asperger’s Syndrome, how it changed the lives of her and her husband, and what other parents can learn about this increasingly common diagnosis. 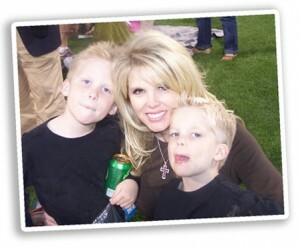 Shonda Schilling, wife of retired Boston Red Sox All-Star Curt Schilling, mother of four, including an Asperger’s Syndrome child, New York Times Best Selling author, skin cancer survivor and dynamic motivational speaker. Her life experiences, her family’s journey with a spectrum autism disorder and her willingness to candidly share the personal moments with the public, have made her an in-demand keynote speaker. Engage, comfort and inspire your audience with Shonda’s real-life stories. Audiences relate to her, cry with her, and laugh with her. To book Shonda for your next event, contact Leighton Communications! Shonda is available to speak at your next engagement.
. . . Order your copy. Sign up for email updates and to receive featured articles!